A record £25 million of rare whisky was sold at auction in the UK last year as older liquid continues to command higher prices. During 2017 the volume and value of Scotch whisky sold at auction is reported to have increased by record amounts. The value of collectable bottles of Scotch sold reached £25.06m ­– an increase of 76% on 2016 when £14.2m sold. The number of bottles sold, meanwhile, increased by 42% to 83,713. Andy Simpson, director and co-founder of Rare Whisky 101, which compiled the findings, said: ‘We were fully expecting to break £20m for the first time. However, £25m shows the level of pure demand in the market at the moment. The most expensive bottle to sell during the year was a 62-year-old Dalmore – one of only 12 bottles released – which fetched £91,650. The amount fell short of the S$250,000 (£125,000) paid by a traveller at Singapore’s Changi Airport for another of the 12 bottles in 2011, highlighting the boom in demand for luxury whiskies in the Far East at the time. David Robertson, co-founder of Rare Whisky 101, said interest in old and rare Scotch whiskies from Asian buyers will fuel growth in the rare whisky auction market in future. ‘We are experiencing increasing demand from almost all parts of the globe. From a rare whisky perspective, approaching on the horizon are the dynamic economies and the burgeoning middle classes of mainland China and India; neither have got to the starting blocks yet, let alone begun to try and win the rare whisky acquisition race. While the 62-year-old Dalmore was the most expensive bottle sold at auction in 2017, it was closely followed by bottles from Macallan (£65,000) and Bowmore (£61,000). 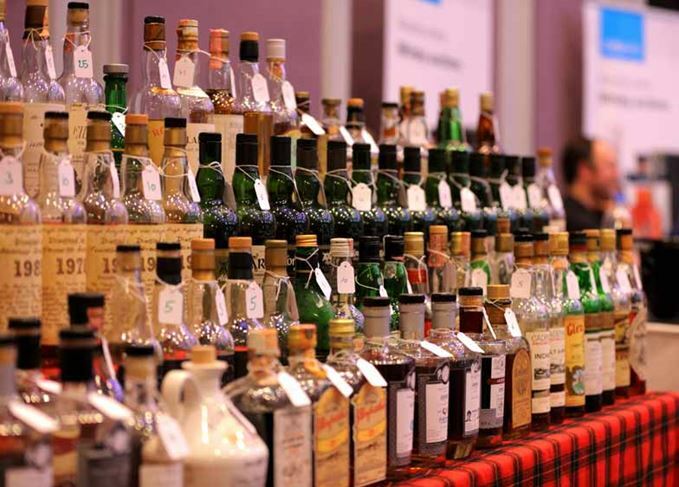 The UK’s whisky auction market is the largest in the world, supported by a growth in the number of specialist auction houses in the past few years. Simpson said: ‘As a category, Scotch is appealing to more and more buyers, and the pinnacle product, single malt, is becoming ever more popular with connoisseurs, collectors and investors. Only last week a buyer paid £3,400 for a previously priceless miniature containing whisky purportedly from the lost Malt Mill distillery. The amount is thought to have been the most yet paid for a miniature at auction.